A Wichita father raised concerns about the welfare of his son months before the boy’s body was found encased in concrete last weekend. The three-year-old has been identified as Evan Brewer, the grandson of former Wichita Mayor Carl Brewer. Carlo Brewer contacted the Department for Children and Families back in March with allegations that his son, Evan Brewer, was being abused. The toddler was living with his mother and her boyfriend at a rental home in Wichita. DCF investigated and a court issued a protection from abuse order in July. Wichita Police Lt. Jeff Gilmore says at that time, officers were unable to locate the mother or the child. "They were not able to serve the protection from abuse order," Gilmore says. "Information received during this investigation was that the mother had left the state with the child and we had no specific location." Gilmore says they arrested Evan’s mother and her boyfriend on August 30 on child custody charges. So far, no charges have been filed in the child’s death. 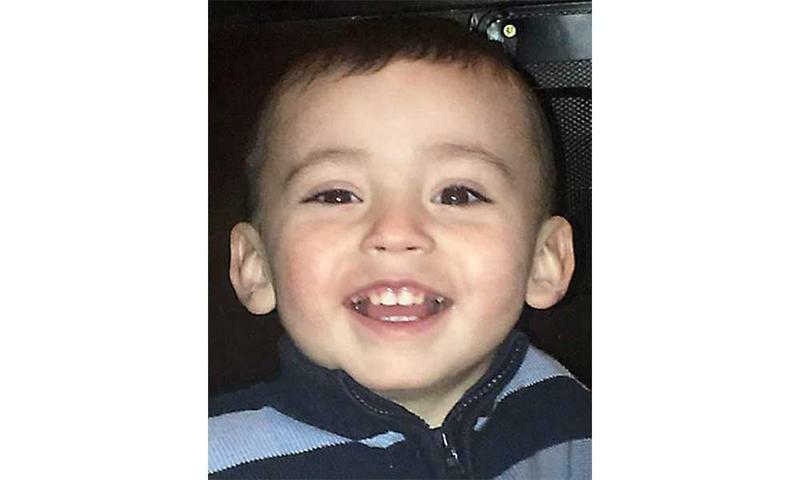 Police say the body found Saturday in a concrete structure inside the home on South Vine Street is likely that of Evan, though final confirmation is awaiting DNA results. Former Wichita Mayor and gubernatorial candidate Carl Brewer confirmed the identity saying Evan Brewer was his grandson. Evan’s mother, Miranda Miller, and her boyfriend, Stephen Bodine, were evicted from the home. As the landlord was cleaning out the house, he found the concrete structure and noticed an odor coming from it. Police removed the structure and discovered the remains of the boy inside. A vigil will be held for Evan Brewer on Sunday at 7:30 p.m. at 2031 S. Vine, the home where Evan's body was discovered. Wichita Police say a three-year-old boy missing since July is likely the small child that was found encased in cement at a Wichita home over the weekend.